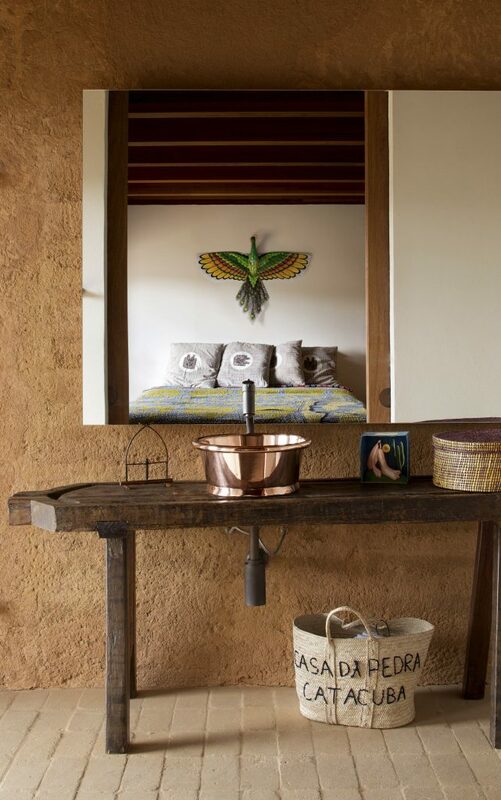 Award winning Eco-Villa, the Catacuba hideaway, revels in an omniscient location. 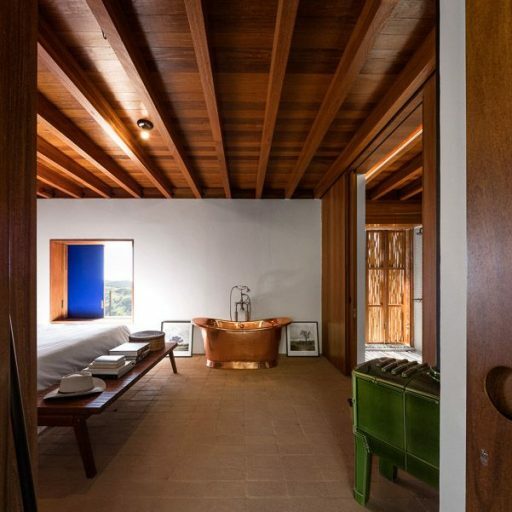 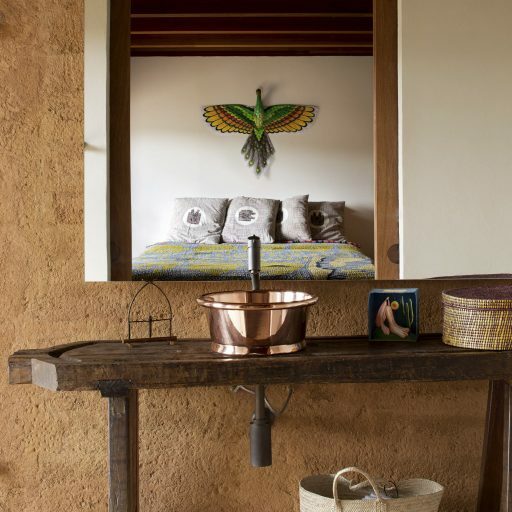 Floating above the verdant Brazilian Rainforest, gazing across breath taking valleys below, this modernist country home is a masterclass in sustainable luxury. 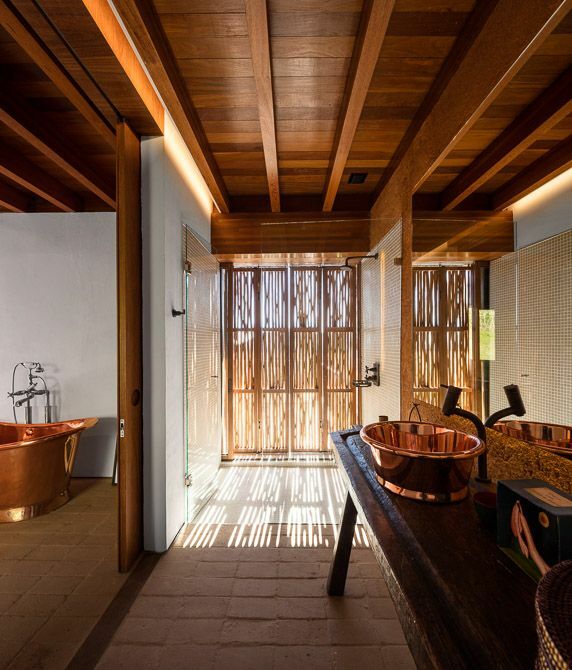 Designed by Studio MK27, expansive decks made from sustainable Amazon Hardwoods provide uninterrupted vista’s of the ancient landscape stretching all the way to the horizon. 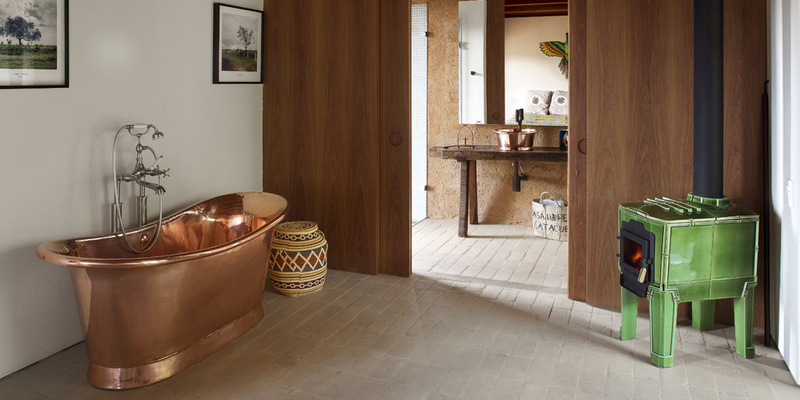 The glorious isolation of the lodge exudes tranquillity, and it is this sense of calm that is reflected in the interior design. 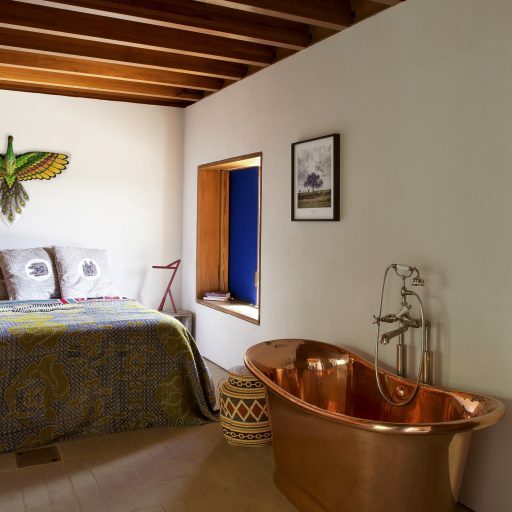 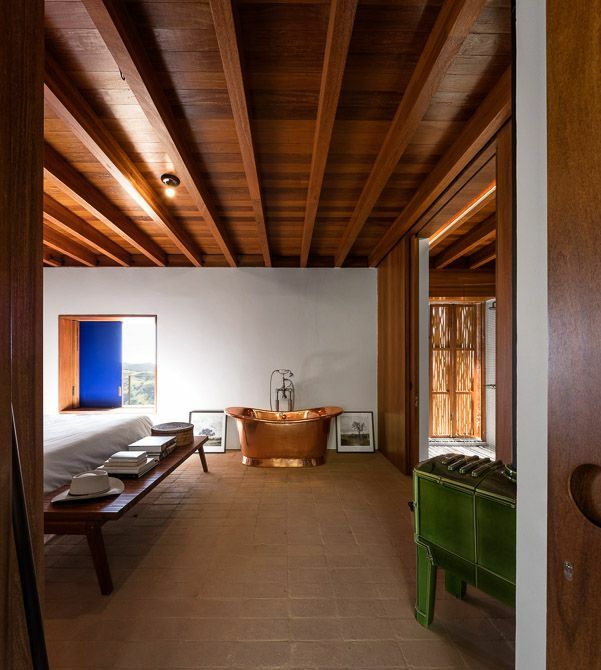 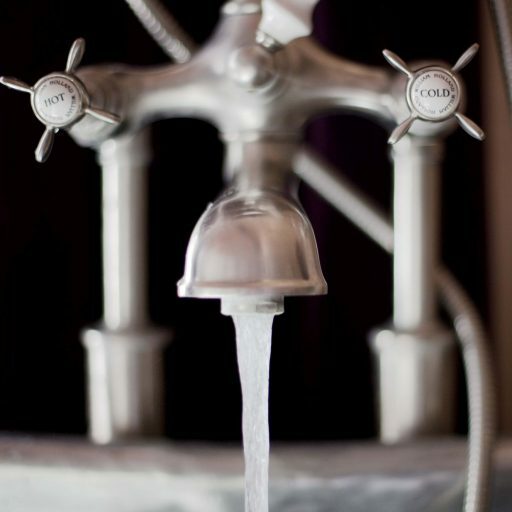 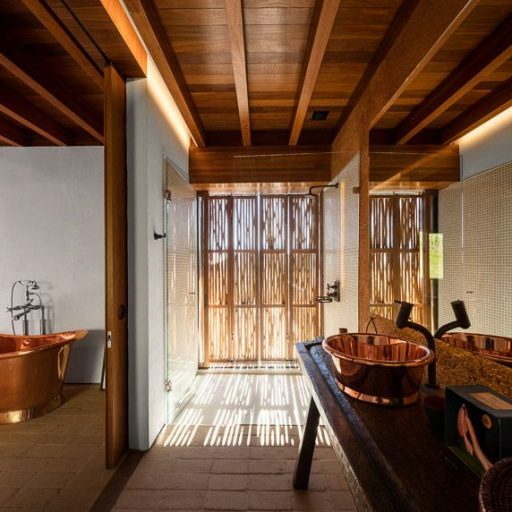 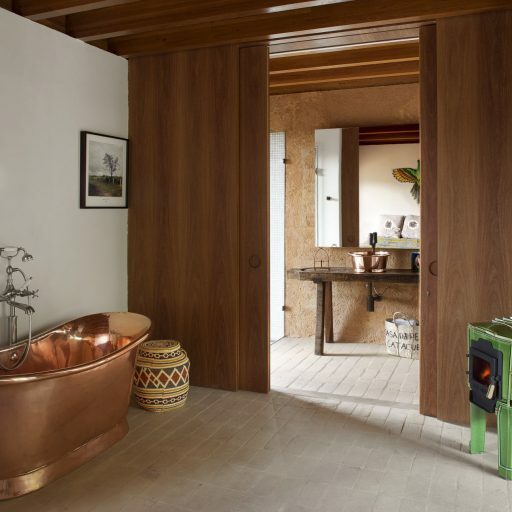 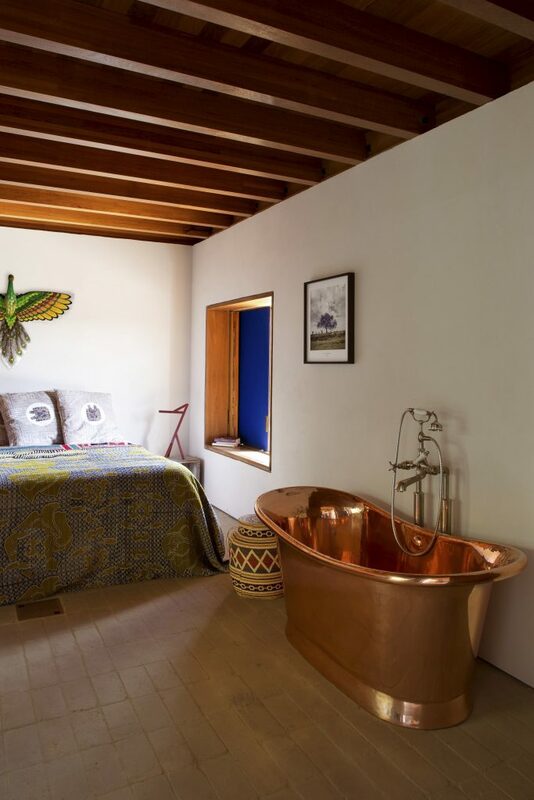 Pure rustic luxe, the interiors are full of natural materials and cultural heritage from the art adorning the walls to the locally accented rugs and gleaming Copper bath and basin. 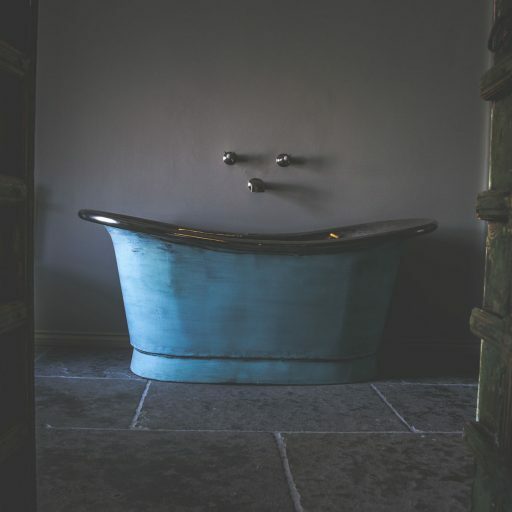 If you would like to try before you buy, why not treat yourself to a stay…. 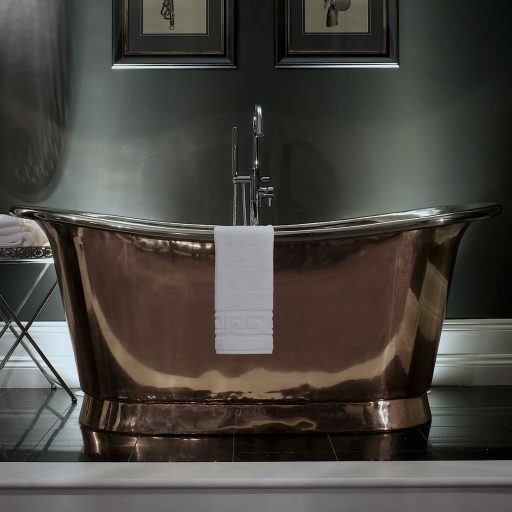 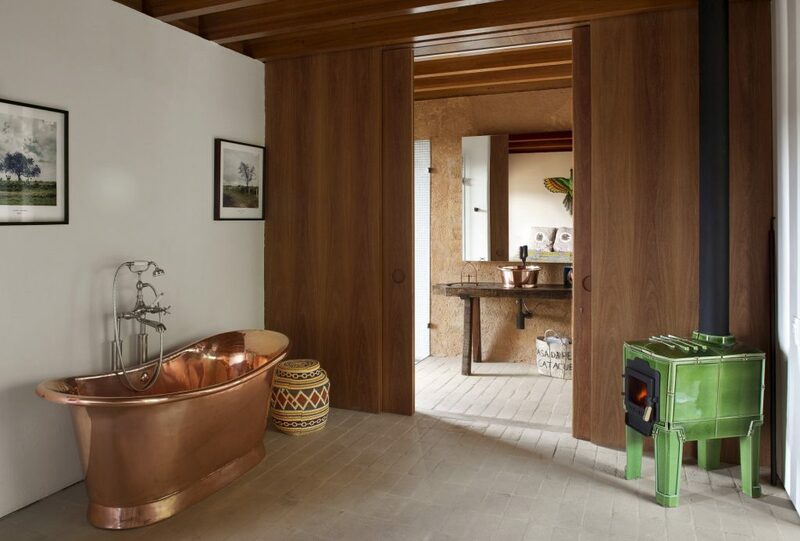 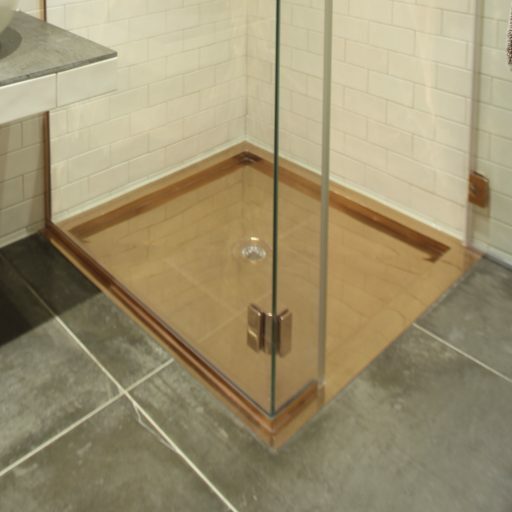 This project featured the William Holland copper bateau bath, with a polished copper interior and exterior. 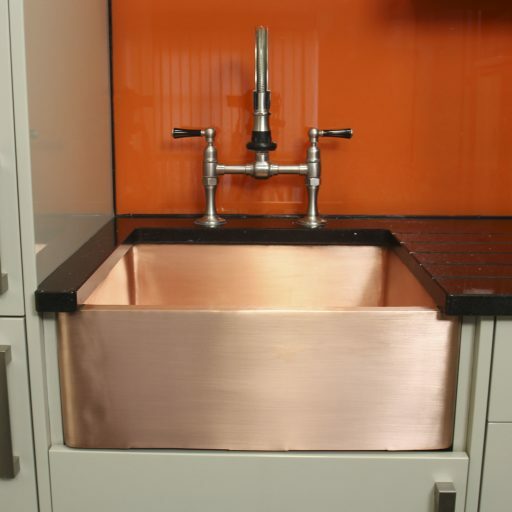 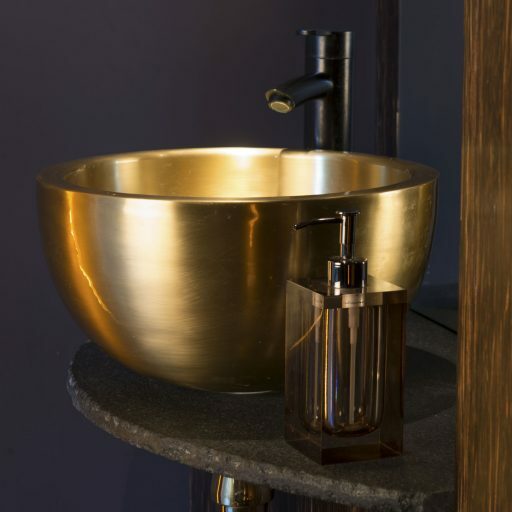 The copper rotundus deck mounted basin was also used in polished copper interior and exterior.